If you are looking for a private detective in Miami Beach, Palm Beach FL, Palm Beach Gardnes FL, Pompano Beach FL, West Palm Beach FL or Weston FL, then Saffron Investigations can help. 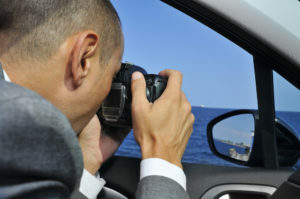 There may be several reasons why someone might need the services of a private detective. It could be for personal, business or criminal reasons. In most cases your situation will involve money, emotions or information. Whatever your reasons, Saffron has a crack team of private investigators and they will assign the right one to your case. A private detective can help with matters such as accident investigation, insurance fraud, general fraud, theft, embezzlement, infidelity, child custody, missing persons, identity theft, criminal investigations and more. They can provide basic services such as background checks or help with more complicated investigations such as missing persons. They can also help with cases that involve faulty police work and police corruption. When you need to get to the truth, a private detective can help. They have the skills and resources to conduct in-depth and exhaustive investigations. They have the right tools and equipment, the training the experience and the knowledge. Detective work often involves problem solving. A private detective will use methods such as surveillance, tracking, tracing, interrogation, questioning, research, forensics and more to uncover clues, leads and eventually the truth. Private detectives often do investigative work for trial lawyers and attorneys. A private investigator knows where to look for evidence, what to look for and how to present that evidence. When it comes to trial it is mostly about the evidence. When you are facing an emotional case such as infidelity, a aggravating case such as wrongful arrest or a financial matter such as embezzlement, you can get help. A private detective from Saffron can help close and finalise your case.